You cannot go wrong with the Makeup Revolution Eyeshadow Palettes. They are superbly pigmented, perform really well, and are very affordable. Also, they are cruelty-free. 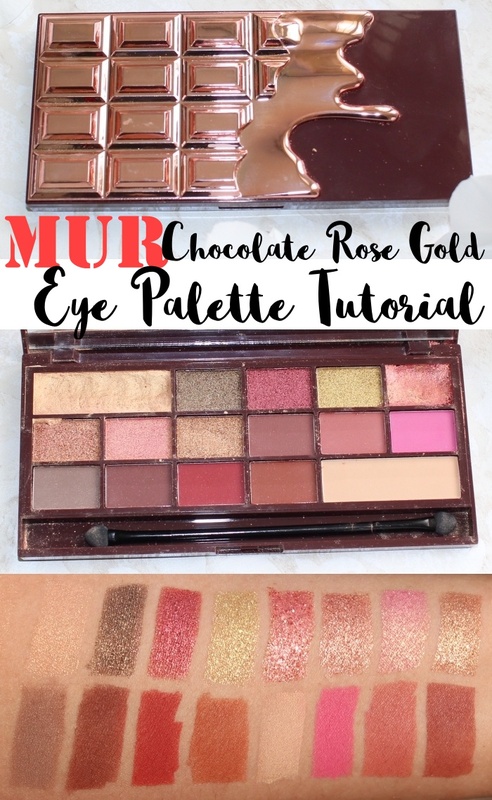 I do wish a bunch of higher-end brands *cough Too Faced cough* would take a leaf from MUR's book and up their eyeshadow quality. I have their Chocolate Rose Gold Eyeshadow Palette to show you today; this is a very close dupe of the Huda Beauty Textured Rose Gold Eyeshadow Palette. The difference, of course, is that while the MUR palette costs £8.99, Huda's is priced at £56. Unfortunately, the palette was damaged in the post, and two of the eyeshadows needed putting back together with rubbing alcohol. Which explains why my specimen doesn't look as neat as it should. Scroll down for the review and swatches of the Makeup Revolution Chocolate Rose Gold Eyeshadow Palette, and for a makeup tutorial. I love this packaging; I can identify and reach for this palette in a jiffy. I'm a tad tickled that a higher-end brand has recently come out with a chocolate-themed palette featuring the dripping chocolate! Here is my review of the Makeup Revolution Chocolate Rose Gold Eye Palette; there's also a foil makeup tutorial in here. Please give me a thumbs-up, and do subscribe to my channel. You can see from the swatches in the video that the pigmentation is intense; the foil eyeshadows are a delight to work with, and I'm now wondering why I didn't try out foil eyeshadows before. They are so creamy, and glide on easily without harsh lines. A fingertip is better than a brush for applying them, though. Here is a makeup look I did with this palette. The shades in this palette are right up my alley, and I love that they all suit my skintone and can be used - something very rare for a palette with 16 eyeshadows. Normally there are 2-3 shades I cannot use. I would also love to see a dupe for the Huda Beauty Desert Dusk Palette - hopefully they'll come out with one soon! The Makeup Revolution Chocolate Rose Gold Eye Palette packs a punch in terms of performance, and offers very good value for the money. You can buy it here; they ship worldwide. Makeup Revolution palettes make nifty - and thoughtful - stocking stuffers!